JMR'S PRINTING PROCESS PROVIDES OUR CUSTOMERS WITH THE BEST POSSIBLE PRINTS EVERY TIME. Contrary to popular opinion, some may believe that you can receive high quality vinyl graphics from anywhere. They are sadly mistaken. Printing vinyl graphics is a custom business. There are varied components involved in the printing process that can influence the outcome of your vinyl graphics. The inks, vinyls, machinery, and installers all play a pivotal role in the printing process and 3M's MCS(match component system). We have developed this page to explain what goes into the graphics printing process to help educate you on why JMR Graphics is the right choice for all of your vinyl graphics needs. OUR PROCESS PROVIDES TOP QUALITY PRINT SOLUTIONS EVERY TIME. 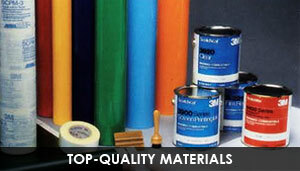 3M has developed a match component system that is certified and guaranteed to produce success. So much so that they offer a 3M MCS Warranty to printers that have been certified to use the right components. It all starts with the inks. 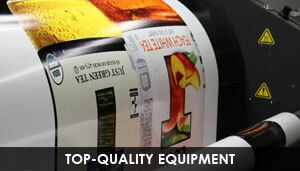 They are specified for a number of different printers to enrich and protect your graphics. There is a certain type of vinyl for all of your graphical needs. Whether is be a short-term changeable adhesive for a transit graphics ad campaign or a long term vinyl for wrapping your fleet of vehicles. Want to wrap a textured surface? Not a problem. 3M even has vinyl material that is petroleum resistant for all of those oil tankers out there. Printing Vinyl graphics is what we do, don't be afraid to ask which vinyl suits you best. JMR Graphics offers both digital and screen printed graphics for all types of projects. We offer digital for the more photographic quality advertisements and screen printing for your basic branding projects. 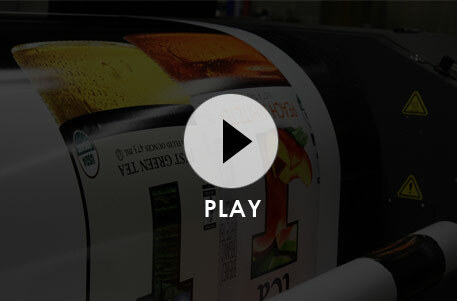 We print your graphics off of Vutek Six Color Process, roll to roll printers or a large run Four Color Screen Print. We can do it all here at JMR Graphics. Scattered across the US is our network of JMR Preferred Installers. We're able to complete a full scale rebranding project no matter the location. Don't want any downtime for your vehicles? Don't worry, we'll work with your schedule to reduce the amount of time your vehicles are out of service. Attention to detail is a quality we're proud of having. 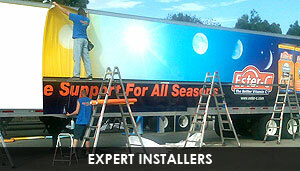 Completing the process with out expert installers, you'll love the end results!